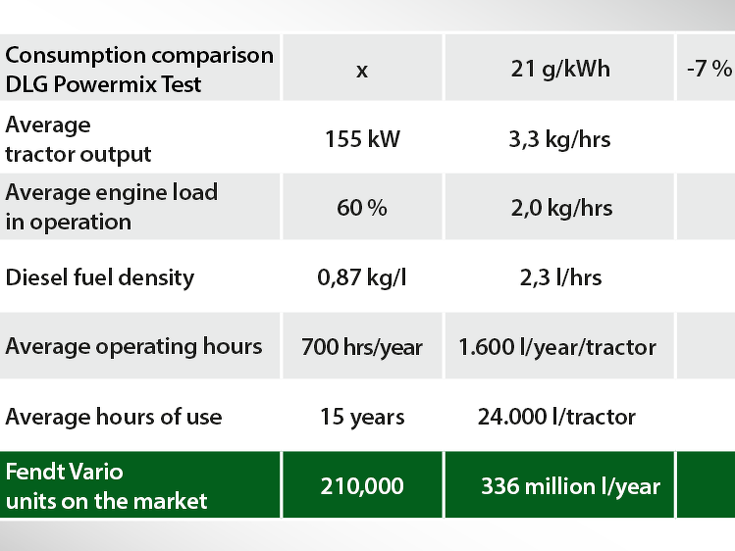 Here are some Fendt facts, stats and figures; discover details about the management, sales figures and market shares, company growth and the DLG Image Barometer. We also talk about the environment and sustainability, and the awards we have won. 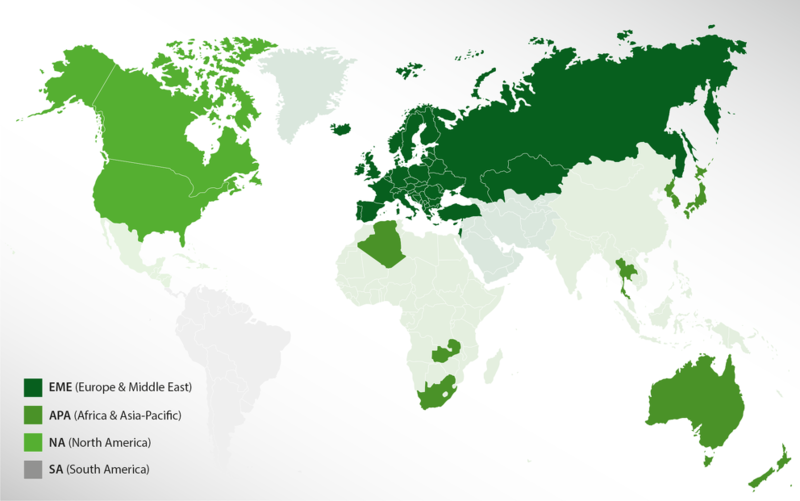 The European distributors network, CLIMMAR, has announced the results of the European Dealer Satisfaction Index (DSI). 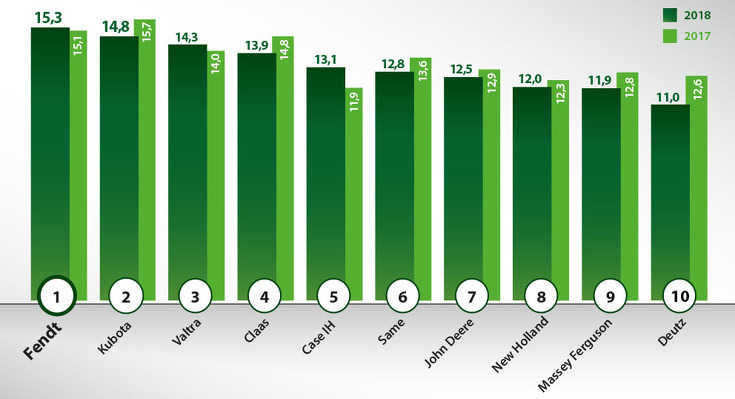 This year’s joint winners are Fendt and Kubota, both taking the number one spot in the European Dealer Ratings. For the fifth time since 2014, DLG conducted a phone survey to ask around 700 leading farmers what they thought of agricultural companies in terms of brand strength and loyalty, brand awareness and positioning. 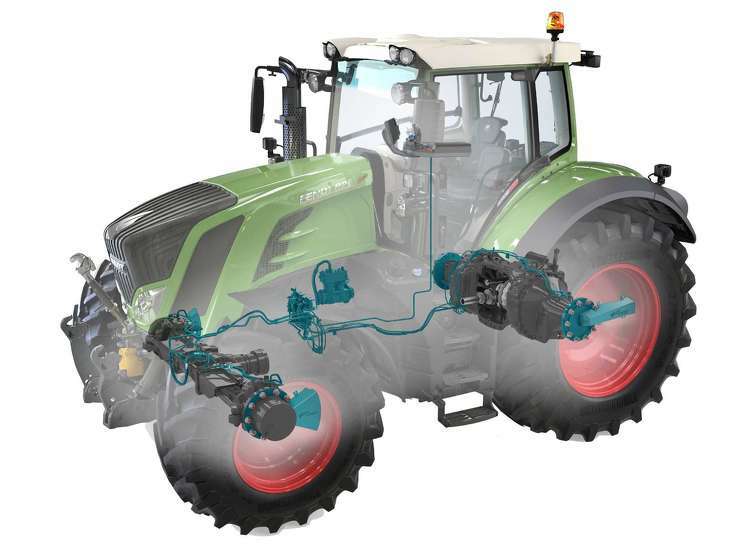 Fendt uses a smart cooling management system to manage different waste heat. Coolers for water, charge air, transmission oil and fuel form a highly efficient cooling package for an effective and powerful tractor. A powerful water pump cools the engine with precision while an additional fuel cooler makes effective use of the diesel-bound energy. With Visctronic, each cooler can control its own fans, which is a much more efficient system compared to most where the engine cooler controls everything. What is more, there is no need to store cooling reserves, which in turn has a positive effect on fuel consumption. The economy PTOs 540 E and 1000 E allow for slower engine speeds with optimum power transmission during lighter PTO work. This means the PTO can reach its nominal speed even at a relatively low engine speed, saving you on fuel. 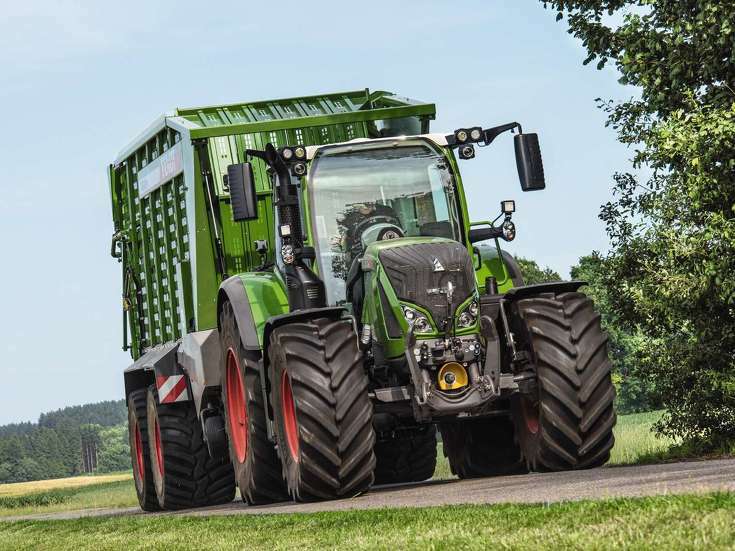 Thanks to their low-speed concept, Fendt tractors are again noted for their efficiency and eco-friendliness. The technology in today's engines means we significantly reduce their nominal speed even during heavy-duty work. This not only further improves fuel efficiency, but also provides for a pleasantly low noise level. Fendt offers the first integrated tyre pressure control system VarioGrip, which also allows the air pressure to be adjusted while driving. The advantages of adaptable tyre pressure are that by lowering the tyre pressure you create a greater contact area between the tyre and the ground, which improves traction and reduces the risk of rolling and wheel slip. This not only saves on fuel and reduces CO2 emissions, but lessens the ground pressure, protecting the soil and minimising tyre wear on the road. To avoid excessive slippage and to make best use of the tractor's pulling power, Fendt tractors are equipped with a slip control feature. An electronically controlled rear linkage keeps wheel slip to a respectable low. This results in higher effective driving speeds and lower fuel consumption. Optimum power transmission also reduces soil compaction without any unnecessary impact on the top layer. Fendt sets itself extremely high standards in terms of efficiency and environmental protection. As such, we rely on lightweight machines with a good weight-power ratio but they must also be able to take on the right ballast systems just when more power is needed. Lightweight constructions call for less material and fuel consumption and reduce CO2 emissions. Having separate oil tanks for the gearbox and the hydraulics safeguards the quality of the oil. By separating the oil supplies, the hydraulics circuit is ideal for use with bio-hydraulic oil, for example. Fendt tractors are impressive in the long intervals required for transmission oil changes – an advantage that benefits not only the farmer, but also the environment. 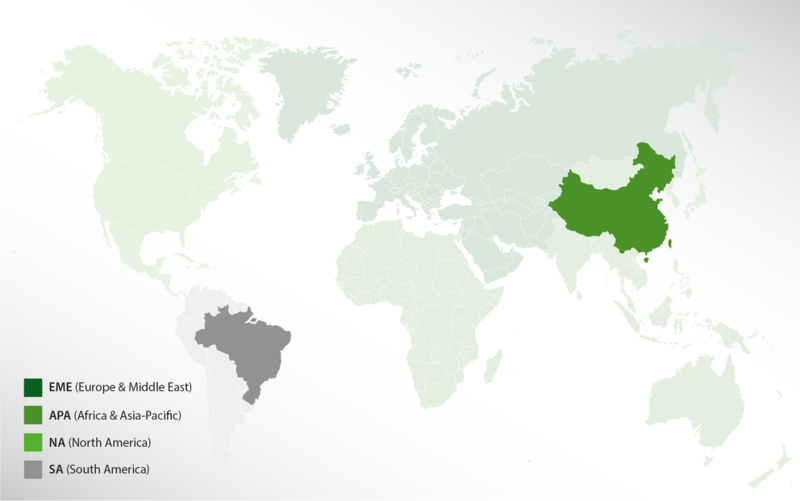 SCR technology is noted on the market as an eco-friendly solution. This system injects AdBlue or urea in the exhaust pipe system, which reduces the nitrogen oxides to a minimum. It is a solution that makes the Fendt Vario work highly efficiently and in a safe way for the environment. A Vario transmission helps the driver work at the optimal speed, every time, making considerable savings at the same time. Whatever the type of work, by increasing their area coverage farmers can cut fuel use by 10% and help protect the environment. 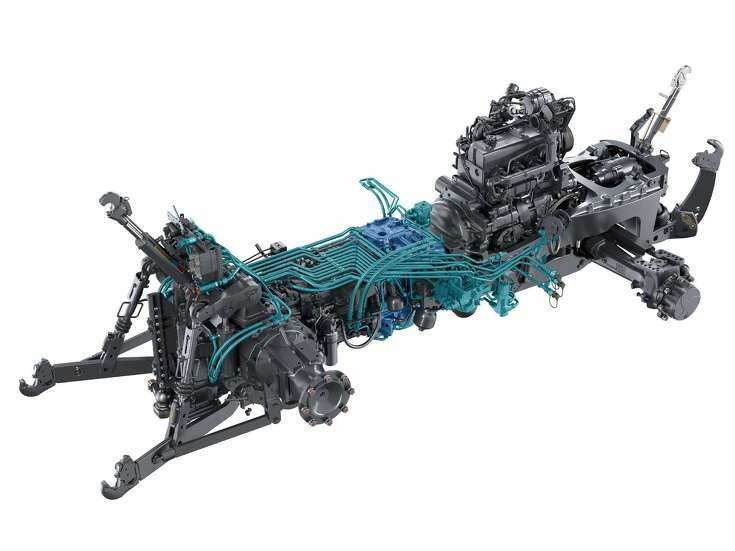 A highly durable, robust gearbox, and optimal power transmission underline the sustainability and eco-friendliness of Fendt tractors. The Tractor Management System (TMS) regulates the engine speed and gear ratio according to the selected speed, so that the tractor always runs at its most economical. 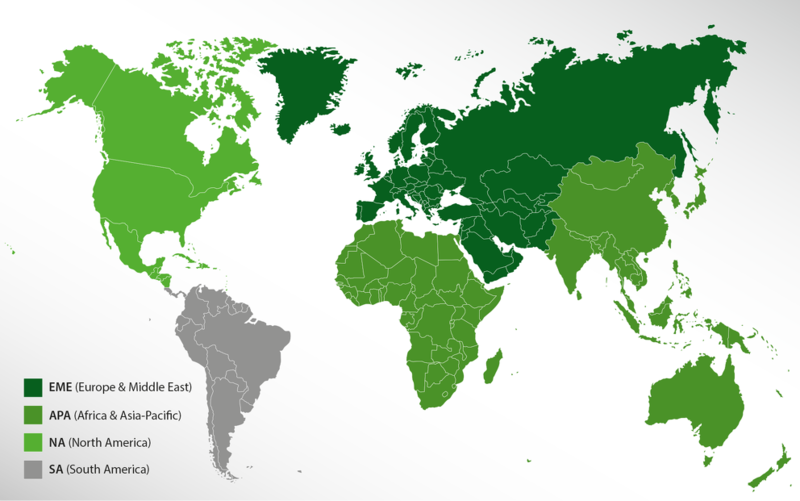 This efficiency can reduce overall fuel consumption and CO2 emissions. VarioGuide: Fendt's VarioGuide automated steering system prevents missed spots and overlaps so that the driver can increase area coverage. The resulting saving on fuel increases efficiency, promotes the saving of resources, reduces CO2 emissions and consequently protects the environment. SectionControl: The automatic SectionControl for ISOBUS implements is a targeted and economical way to manage resources. Even before the unwanted overlaps happen, SectionControl activates/deactivates section widths at the headland and field boundary. When working with field sprayers, muck spreaders, single grain seed drills and drilling machines, with SectionControl you can enjoy potential resource savings of up to 17%. The targeted use of spray products and fertilisers will also lessen the impact on the environment. VariableRateControl (VRC): The more varied the field's conditions, the more efficiently Fendt VRCs use seed products and other resources. This section-specific management system applies plant protection, fertilisers and seeds just as required. VRC avoids over-fertilising certain areas and unnecessary impact on the environment, while saving you on resources. The Fendt IDEAL received the ultimate accolade at the renowned Red Dot Design Awards – Best of the Best 2018. The expert panel only award the internationally recognised quality seal to the best products in a category. 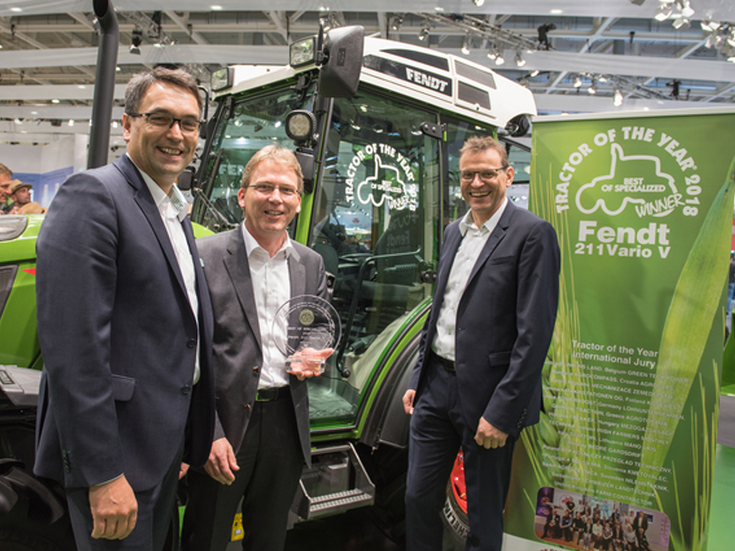 Fendt's IDEAL combine harvester came out on top as one of the best design products in the commercial vehicle category. This year sees not one, but two Fendt product films awarded at international film festivals and competitions in the film industry. 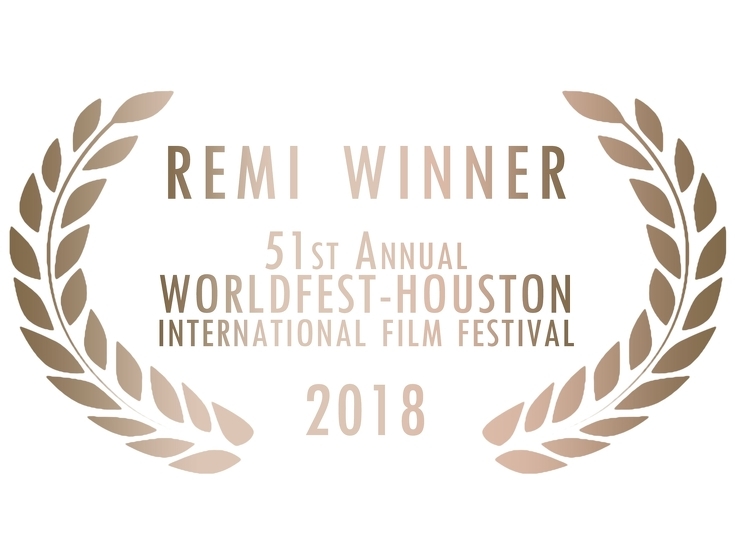 The product films for the Fendt 200 Vario and the Fendt IDEAL were awarded platinum and gold at the Worldfest in Houston, Texas, with the Fendt IDEAL film winning its second silver at the Worldmediafestival in Hamburg. The compact robot units, Fendt Xaver, have already made an impression in a number of tests. This award at the euRobotics Awards 2018 is another nod to the Science team's project, formerly known as MARS, now Fendt Xaver. The second day of the FIMA trade fair is traditionally 'Innovation' day, with prizes awarded for technical innovations. 115 companies took part in the competition, with prizes going to 36 innovations. 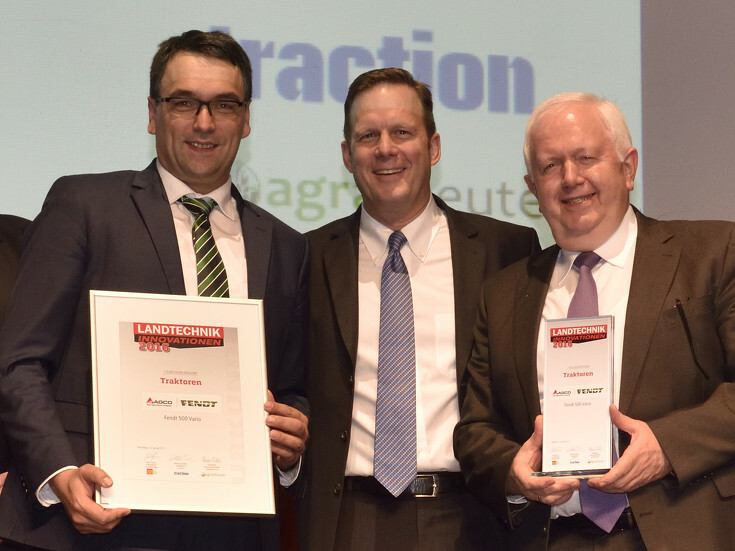 Fendt took home three awards for its Fendt e100Vario, Fendt IDEAL and Fendt VarioPull. 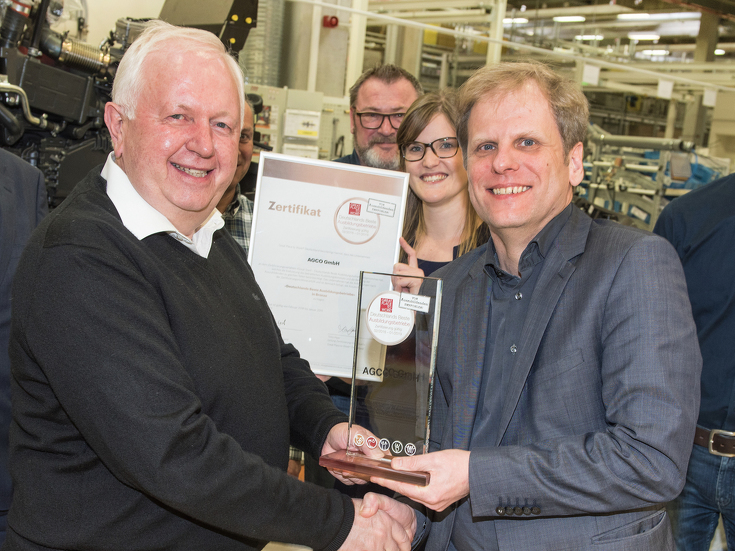 At the Industrial Excellence Conference 2017 held in Berlin on October 4, 2017, AGCO/Fendt was awarded the acclaimed Industrial Excellence Award Europe by the Otto Beisheim School of Management (WHU). 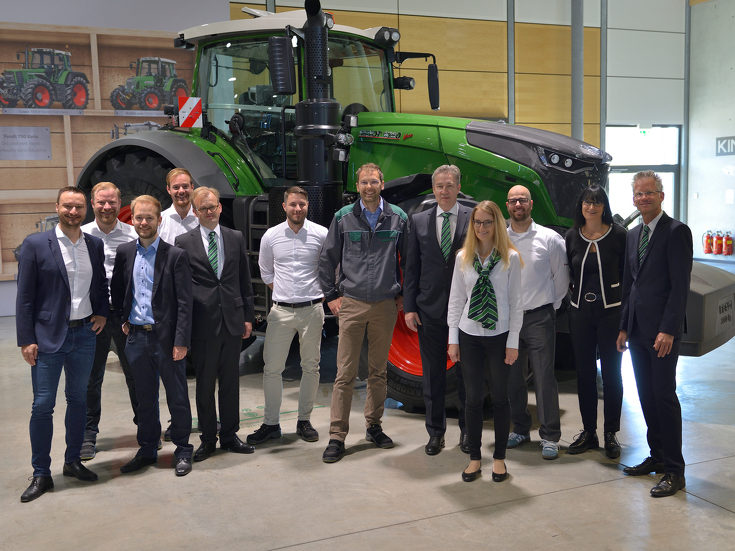 The esteemed Laureate prize went to Fendt's production specialists for work that came to full fruition in 2018. 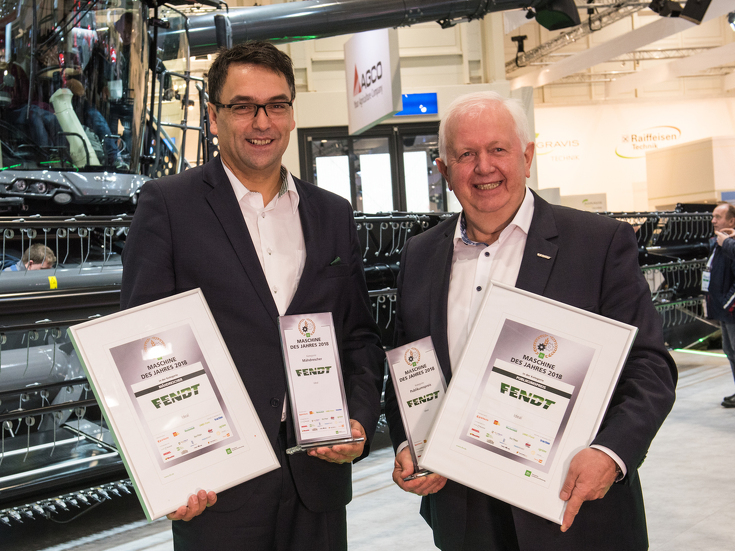 Agritechnica 2017: Fendt IDEAL and Fendt 900 Vario MT both named "Machine of the Year 2018"
Fendt was the happy recipient of yet more prizes on the third day of Agritechnica 2017. 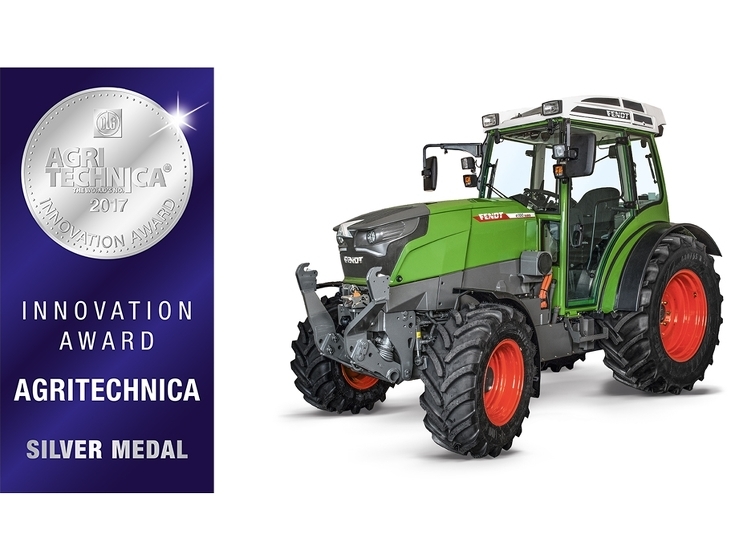 Tracked tractor Fendt 900 Vario MT was awarded in its XXL category. 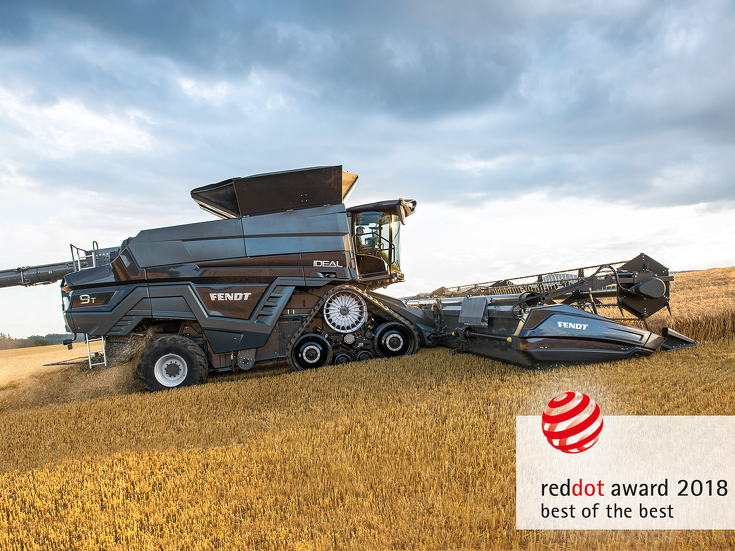 The new large combine Fendt IDEAL won Machine of the Year 2018 twice, once in the Combines category and once in the People's Vote. 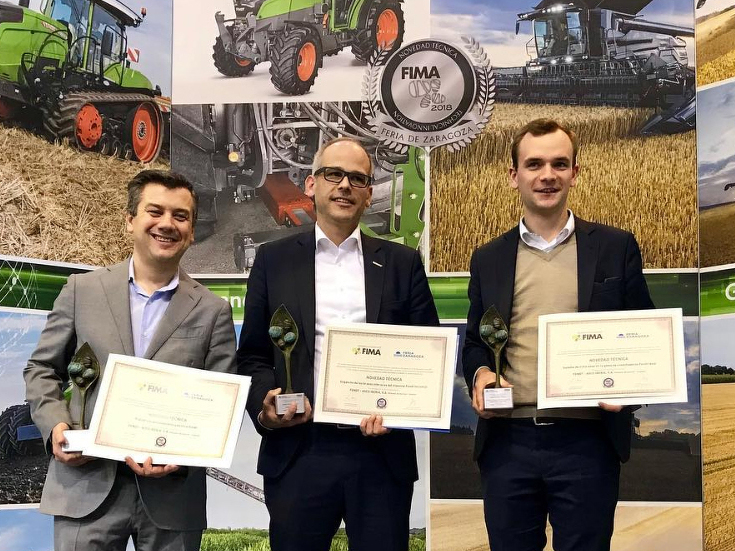 The silver medals were awarded for the new large combine Fendt IDEAL, the Fendt VarioPull system with its perfect tractor/implement weight distribution, the e100 Vario fully electric tractor and the Fendt Xaver, field robots that work in various sized fleets for sowing. 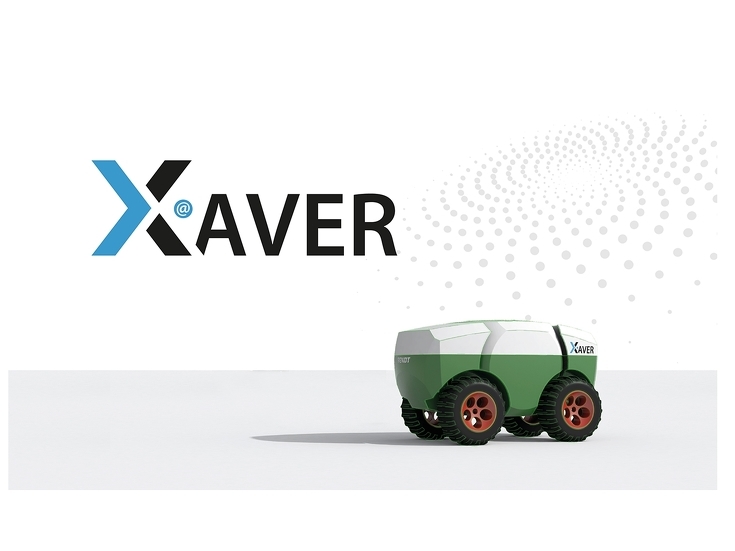 The fifth silver medal was awarded for DKE's agrirouter™, a data exchange platform between machines and implements from different manufacturers. Agco is a founding member of the DKE consortium. The Agricultural Business Conference held in Würzburg on January 13, hosted its 16th prestigious AGRARTECHNIK Service Awards. This prize honours the best agricultural machinery dealers at state, national and international level. Only a select few can claim the esteemed prize, Fendt dealers included. The People's Vote for 2016 Farming Solutions Prize for Innovation was also awarded at the event's gala evening. 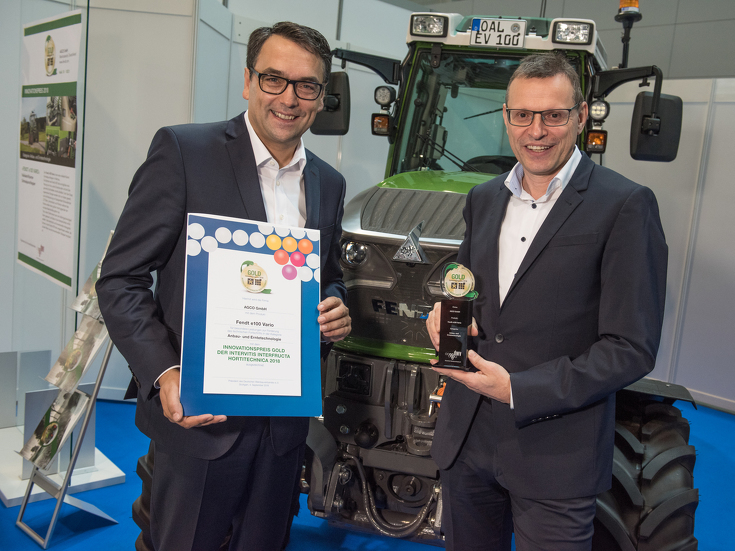 Fendt came out top in two categories.